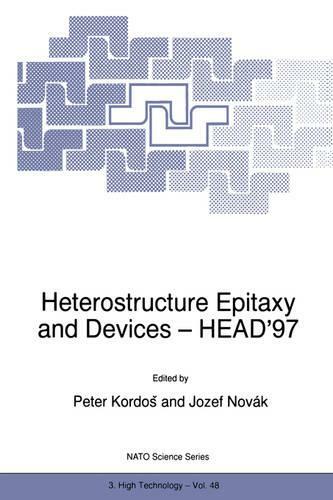 The Workshop Heterostructure Epitaxy and Devices HEAD'97 was held from October 12 to 16, 1997 at Smolenice Castle, the House of Scientists of the Slovak Academy of Sciences and was co-organized by the Institute of Electrical Engineering, Slovak Academy of Sciences, Bratislava and the Institute of Thin Film and Ion Technology, Research Centre, liilich. It was the third in a series of workshops devoted to topics related to heterostructure epitaxy and devices and the second included into the category of Advanced Research Workshops (ARW) under sponsorship of the NATO. More than 70 participants from 15 countries attended (Austria, Belarus, Belgium, Czech Republic, Finland, Germany, Greece, Hungary, Italy, Poland, Russia, Slovakia, Ukraine, the United Kingdom and the USA). Novel microelectronic and optoelectronic devices are based on semiconductor heterostructures. The goal of the ARW HEAD'97 was to discuss various questions related to the use of new materials (e.g. compound semiconductors based on high band-gap nitrides and low band-gap antimonides) and new procedures (low-temperature epitaxial growth), as well as new principles (nanostructures, quantum wires and dots, etc.) aimed at realizing high-performance heterostructure based electronic devices. Almost 70 papers (invited and contributed oral presentations as well as posters) were presented at the ARW HEAD'97 and the main part of them is included into these Proceedings.